This European country has been growing grapes for more than 6,000 years. It’s the sixth-largest wine-producing country—after all the usual suspects—in Europe. It even sits on the same latitude as world-renowned Bordeaux. Yet you’ve never tasted wine from Romania. That’s probably because this Southeastern European country only exports about 10 percent of all its wine. So it’s safe to say that Romanians drink a lot of wine at affordable prices. It also means that it’s time for you to travel beyond Bucharest. Western Romania is a good place to start. Timișoara, the country’s third-largest city, sits near the Hungarian and Serbian borders. The Carpathian Mountains, which provide a barrier from the cooler weather, lie to the north. The Bega river, which flows from the mountains into the mighty Tisza, keeps the land fertile. 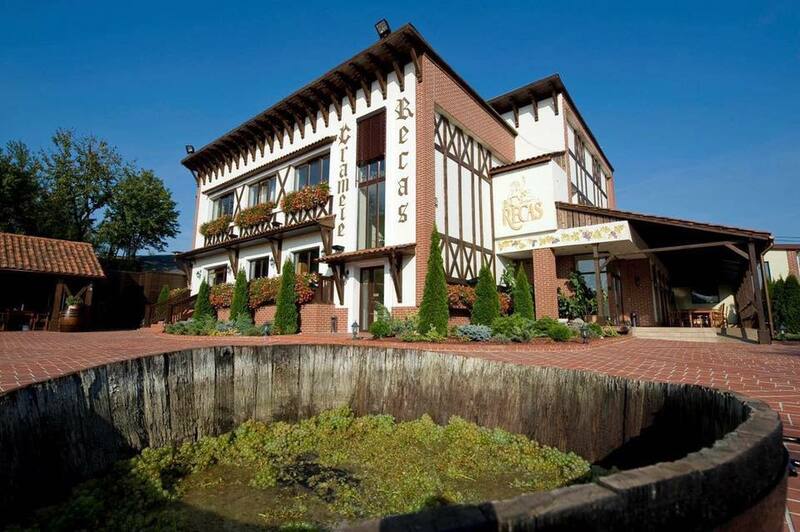 While Recaș, a small town just 13 miles to the east, is home to the largest wine exporter in the entire country. Cramele Recaș was founded in 1998 by a British-Romanian family. Their estate has grown to nearly 2,500 acres. They’ve adopted eco-friendly practices (i.e. a wastewater purification system) along the way. They grow both grapes you know (Merlot and Sauvignon Blanc) and grapes native to the area (Fetească Albă and Kadarka). While their extensive portfolio includes entry-level, unusual blend, rare, and even dessert wines. Since spring is still a long way off in Romania, you’re surrounded by snow-covered hills and bare vines as you drive to Cramele Recaș. A warm welcome greets you at the winery, though. After passing an old-fashioned wine press and a modern bottling plant outside, you head underground into a complex network of cellars. 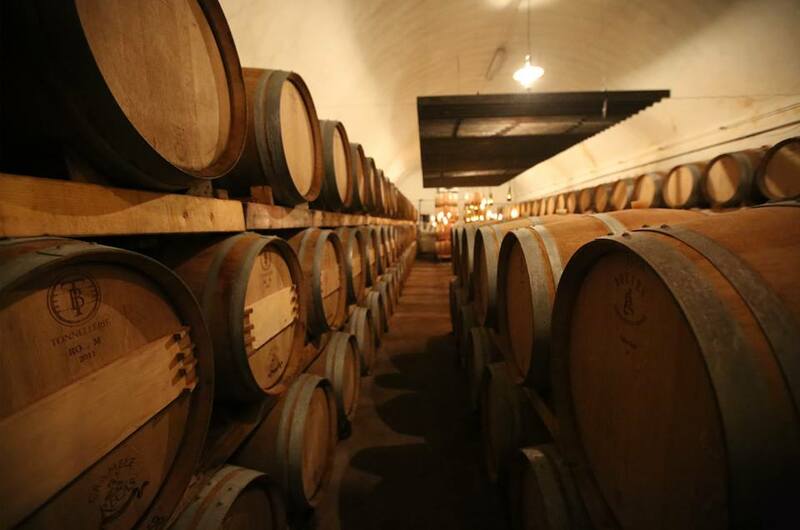 Some rooms have barrels full of aging wine. Others are lined with dusty bottles. While antique tables are in the tasting rooms. Bread, cheese, water, and lots of empty glasses are set out on one of them. So are you finally ready to taste Romanian wines? You start with a Sole Chardonnay. The Sole line is a nod to the sun, an essential ingredient in wine making. The golden wine smells like peaches, tastes like honey, and pairs well with the moldy Camembert sitting next to it. A Muse Rosé, which could be mistaken for a Provence wine, is next. It’s followed by a dark, spicy Fetească Albă. Eventually, you lose count of how many wines you’ve tasted. But you do remember that a Conacul Ambrozy—a dessert wine made from Sauvignon Blanc grapes—is last on the list. It’s elegant, well balanced, and the perfect last sip at Cramele Recaș. The hard part will be deciding which bottles to ship home now. Romanian wines were once famous throughout Europe and hopefully they will regain their fame once again if wineries continue to develop further. It would be great, since viticulture was such an important traditional occupation for the Romanian people. Some say that during the Middle Ages, people would drink more wine than water, that’s how popular this drink was.